Gaining an hour of sleep from daylight savings. The Easter Long Weekend – from all of us here at Ciao, we hope you had a relaxing and blissful four-day weekend. There were some epic Easter treats around the Inner West, including a delectable Golden wattle Egg from T Totaler in Newtown. Five new pride seats are being installed in recognition of the area’s LGBTIQ community The rainbow seats will include plaques to recognise a person or group that has contributed to the fight for LGBTIQ rights. The Sydney Writers Festival gets started this month, and any excuse to celebrate literary culture in this city is a big plus! Mid-semester examination season for uni students is nigh—get ready for stress levels around the Inner West to rise. The Sydney Vegan Markets launched in November, a monthly celebration of all things vegan. Held in Marrickville, the markets tried out a few locations before being slapped with a $6000 fine for breaking the requirements for the size of their market. 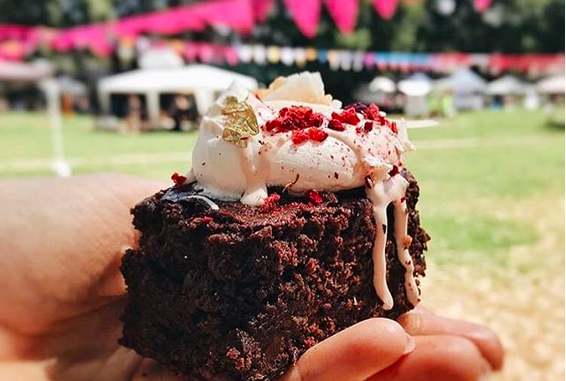 We may not be seeing another Sydney Vegan Market until July at the earliest. Cheating, in all forms. For all the kids playing cricket in ovals across the region, it’s important to know cheating won’t get you anywhere, and neither will tearful apologies. Surgically implanting an Opal Card chip into your hand is way out, with Meow-Ludo Disco Gamma Meow-Meow slapped with a $220 fine and $1000 in legal costs. He wanted to swipe on and off without using a card.